One of the most admired and reviled film makers in the history of cinema was born on August 22nd, 1902. One of the most admired and reviled film makers in the history of the cinema, Leni Riefenstahl made two major Nazi propaganda films, Triumph of the Will and Olympia, which whatever is thought of their message are acknowledged artistic triumphs. 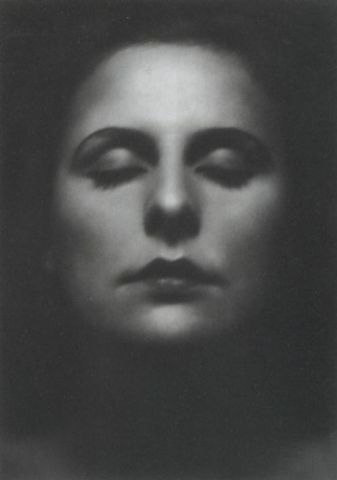 A Berliner born and bred, Hélène Bertha Amelie Riefenstahl was so unprepossessing at birth that her mother burst into tears at the sight of her. Her father, Alfred, ran his own heating and sanitation business and the family had a weekend cottage in the country as well as the Berlin apartment. Her mother, Bertha, who had wanted to be an actress, was fond of music and the theatre, and as a girl Leni loved dressing up, make-believe and fairy tales. When the German economy collapsed after the First World War, her father’s business suffered and the family had to cut back. To Alfred Riefenstahl’s dismay, Leni started her career in ballet in her twenties, dancing solo and acting as her own choreographer. She then became a movie actress. Tall with a boyish figure, athletic and good on skis, she appeared in the vaguely mystical German genre of ‘mountain films’, played out against peaks and snow. She failed to get the coveted role which made Marlene Dietrich’s fortune in The Blue Angel and in 1931 formed her own production company. One of her admirers was Adolf Hitler, who asked her to film the Nazi party rally of 1933. She sometimes took her mother and father with her on visits to Hitler, with whom she developed a close, but apparently not sexual relationship. In her early thirties at this time, she was dazzled by him. Hearing him speak in public for the first time, she said, was like being struck by lightning. To the vexation of the propaganda minister, Josef Goebbels, who considered it part of his remit, she filmed the 1934 Nuremberg party rally in Triumph of the Will. With Hitler’s backing, the convention was deliberately organised largely for her cameras and she created a spectacular pageant of gigantic parades, massed banners and torchlight processions to portray the Nazi Party as an overwhelming, mythological force, with Hitler’s arrival by air virtually the descent of a saviour god to the earth. To the continuing annoyance of Goebbels – ‘It is impossible to work with this wild woman,’ he wrote irritably in his diary – she went on to make her masterpiece, the two-part, four-hour film of the 1936 Olympic Games in Berlin, one of the most poetic and exciting films about sport ever made. She did full justice, incidentally, to the triumphs of the great Black American athlete Jesse Owens. Leni Riefenstahl never joined the Nazi Party and how much she really understood or chose to understand about the reality of Nazi Germany is uncertain. She maintained that she did not know about the Holocaust until the end of the war. After 1945, bearing the tag of ‘Hitler’s favourite film maker’, she was not surprisingly ostracised. Though officially cleared of complicity in Nazi war crimes, she found it almost impossible to work, while lesser lights who had made pro-Nazi films were forgiven. Her films were too good to be forgiven. Indefatigably vigorous, she published superb African photo essays in her seventies and her memoirs in her eighties, took up deep-sea diving and was still filming in the Maldives in her nineties.